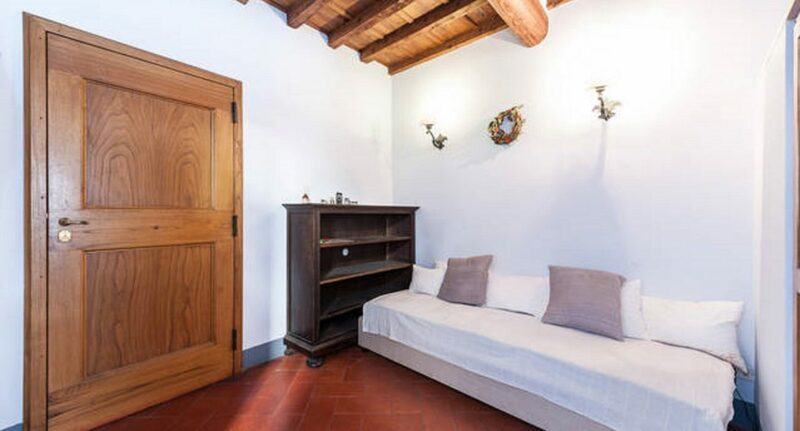 This exquisite and welcoming apartment is located on the 2nd floor of a typical Florentine building dating back several centuries. 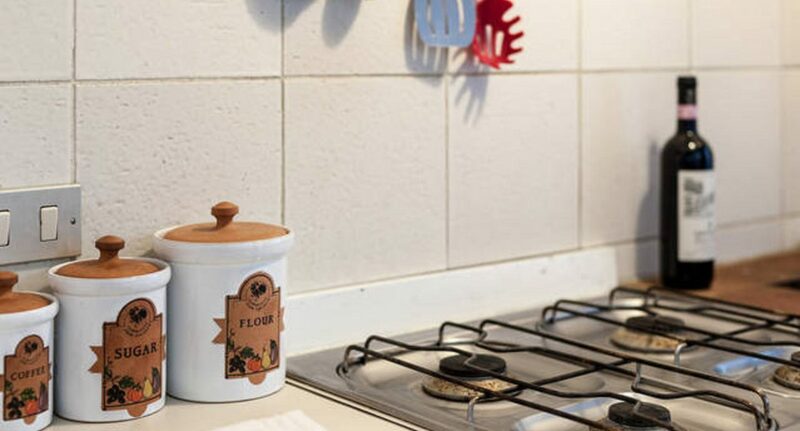 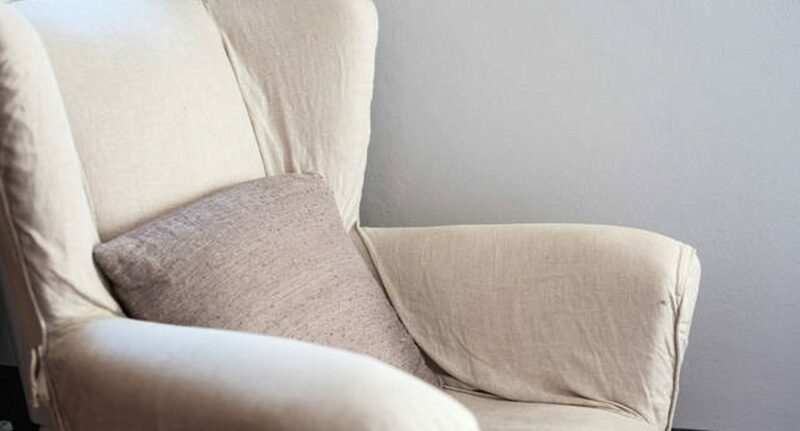 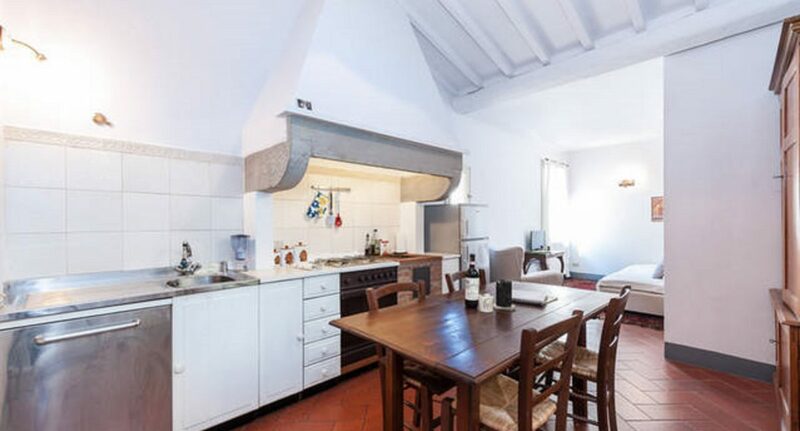 The apartment itself has been recently renovated, bringing it up to contemporary comfort standards while preserving its authentic Tuscan charm. 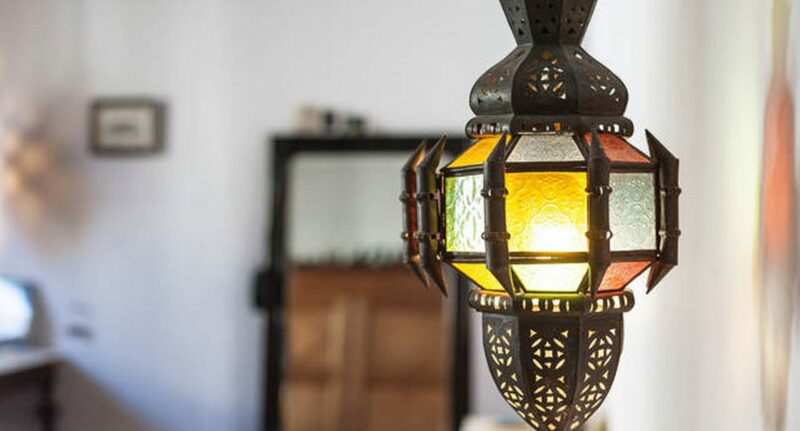 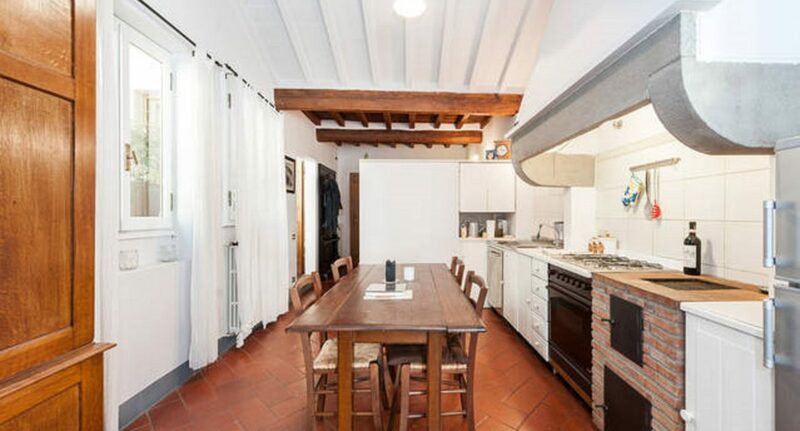 Beautiful original elements from hundreds of years ago have been retained and restored, like the striking stone range hood in the kitchen, the antique cotto tiling and the traditional wooden-beam cassettoni ceilings. 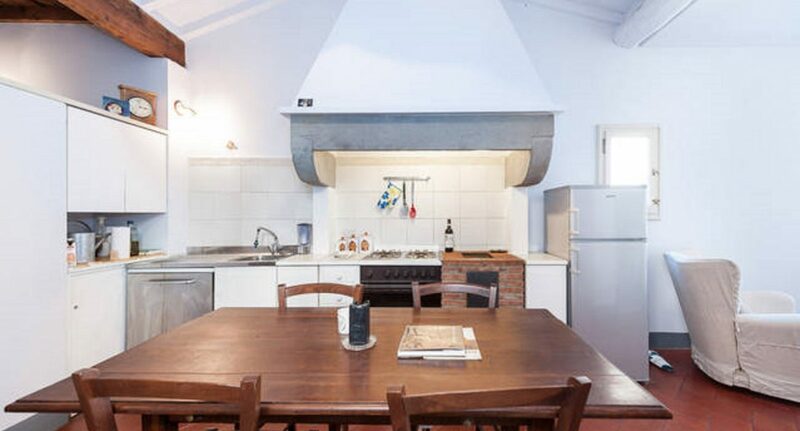 With free WiFi, air conditioning, flat-screen TV, a fully-equipped kitchen with a large fridge and freezer, oven, microwave and toaster, dishwasher, washing machine, ironing board, etc. 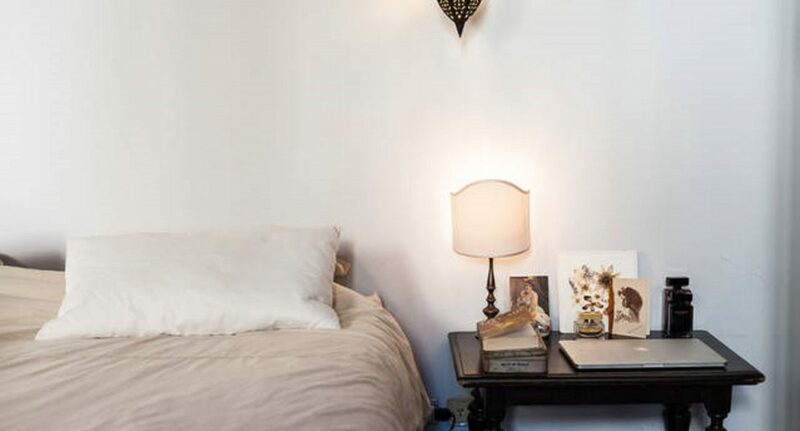 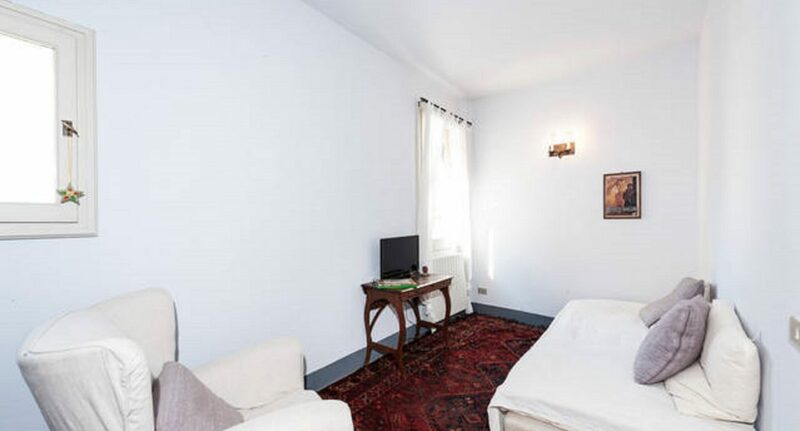 the apartment has all the modern amenities you might need to make your stay as relaxing and enjoyable as possible. 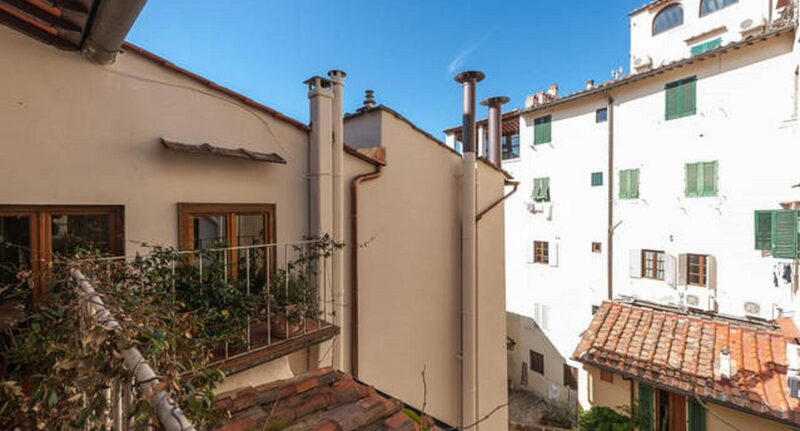 Add the authentic charm of a true Florentine home, a strategic location close to all of the city’s marvels, and the kind of view that you can only dream about… and you have a perfect choice for up to 4 people, sure to make your vacation even more memorable! 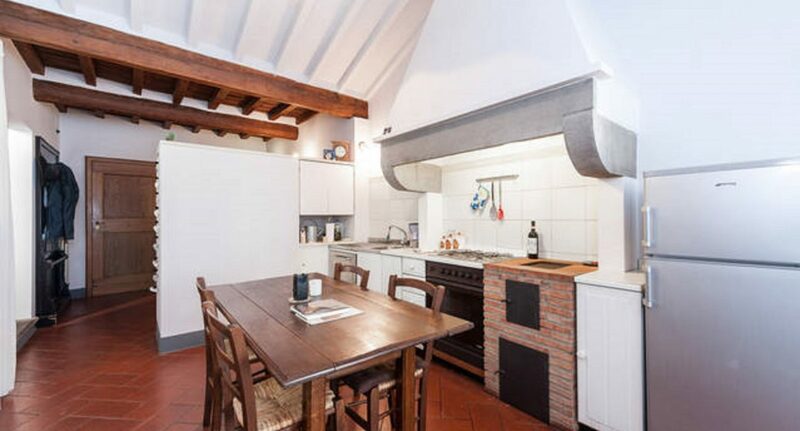 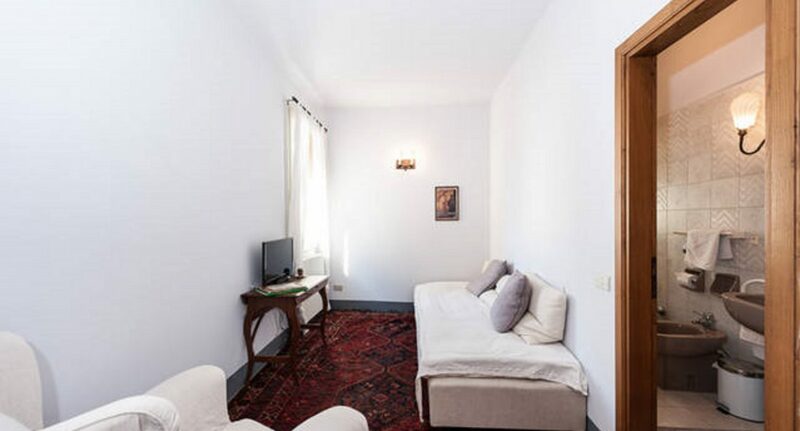 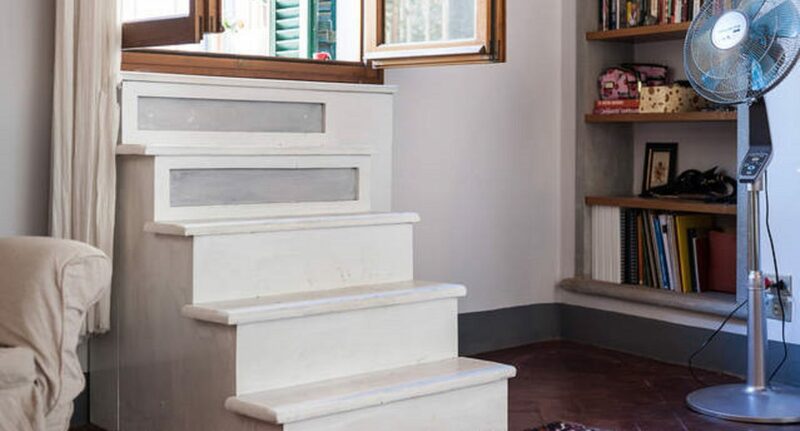 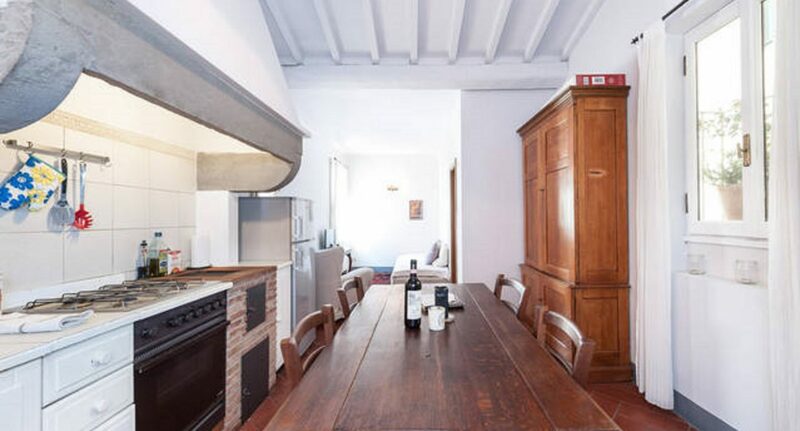 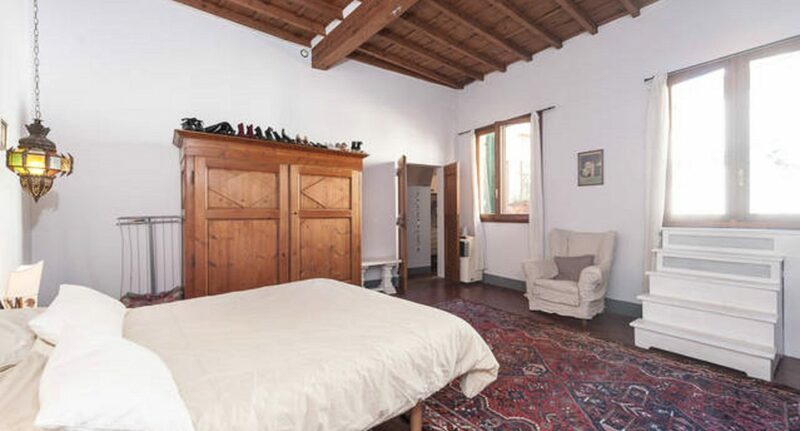 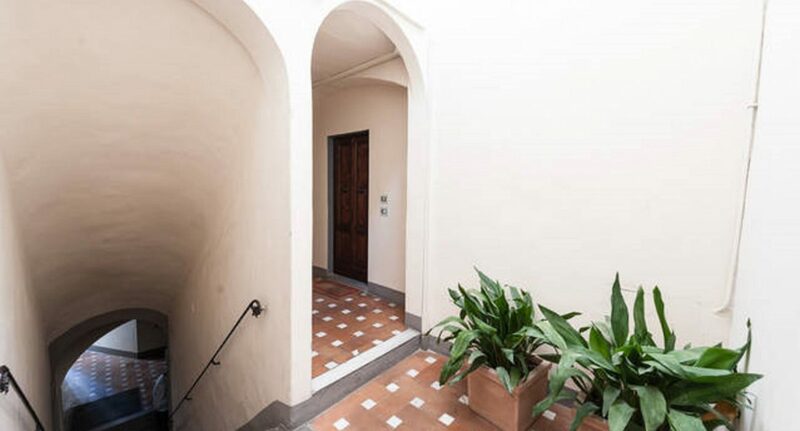 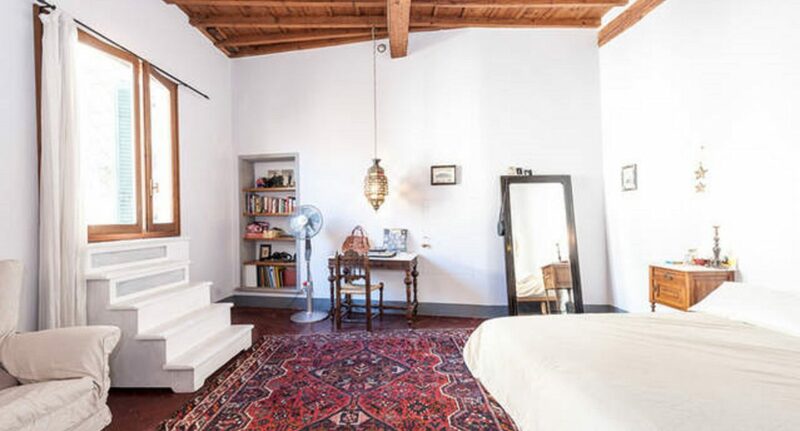 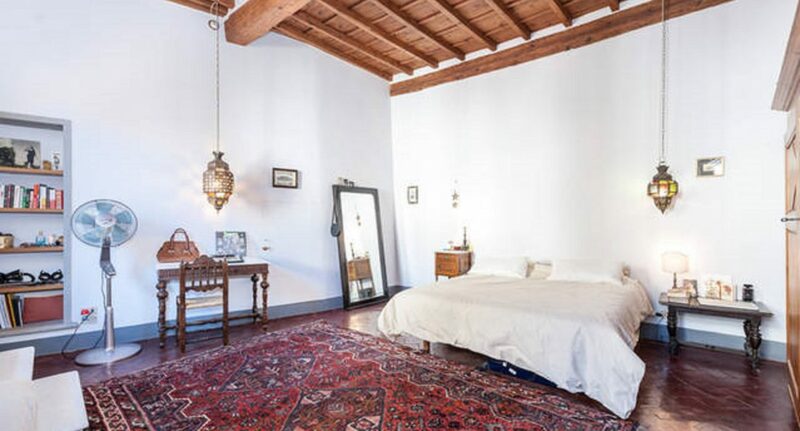 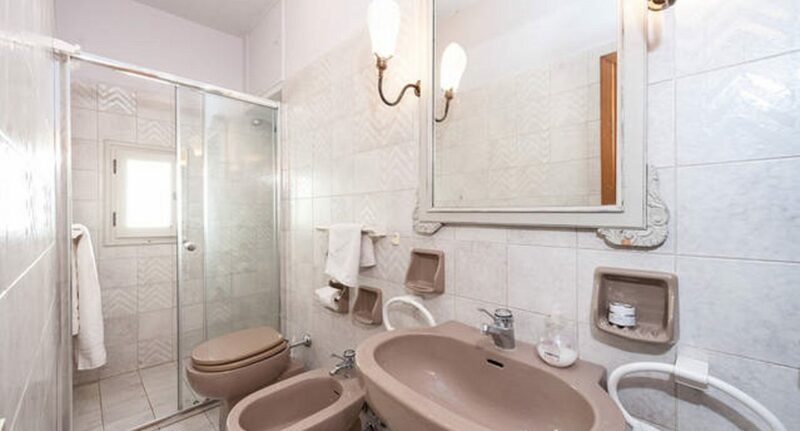 The apartment is located in Borgo Albizi, LITERALLY at the heart of the historic center of Florence. 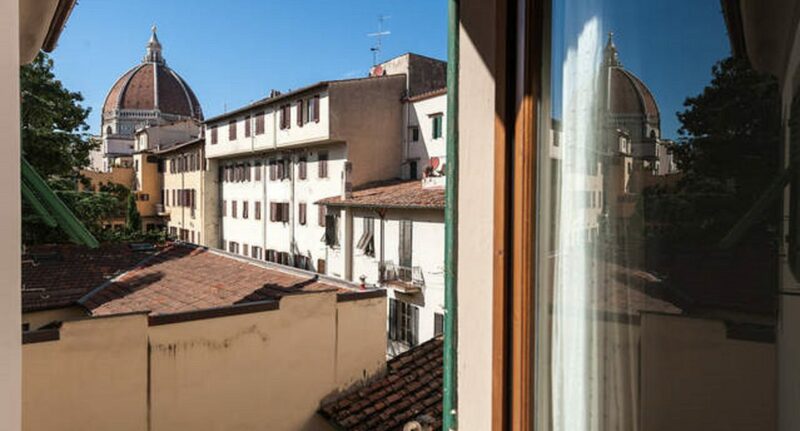 When you stay here, you’ll be less than 300 meters from the Duomo (the symbol of Florence, and one of the world’s most amazing cathedrals), from Piazza Signoria (the town’s most beautiful square, adjacent to Ponte Vecchio and the Uffizi Gallery) and from the Santa Croce neighborhood (which is not just the famous basilica, but also the city’s nightlife and entertainment hub). 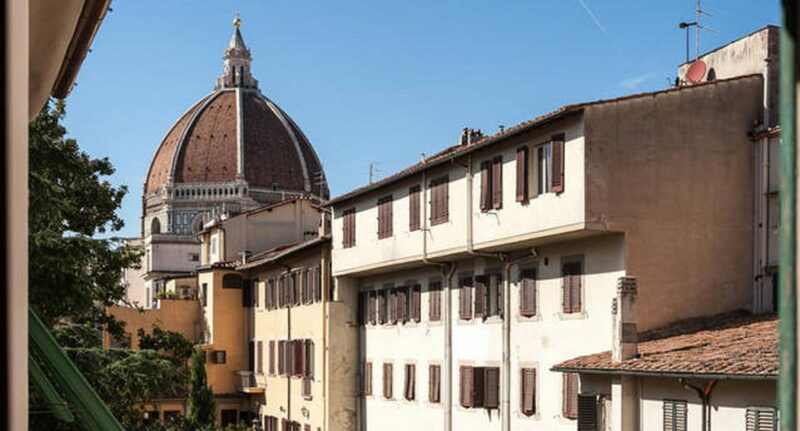 All other Florence landmarks are easily reachable on foot in less than 10 minutes.